Thank you for your interest in our research! Our research is aimed at improving the health and wellness of individuals living with Post Traumatic Stress and Traumatic Brain Injury . 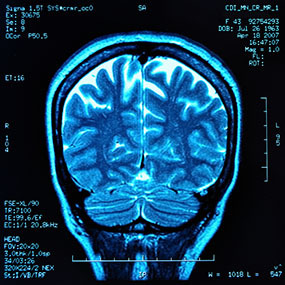 Research of the brain enables the discovery of new treatments, further development of therapies, and improved policies for veterans living with post traumatic stress and/or traumatic brain injuries. Research studies rely on volunteers with the medical conditions for which we are trying to make advances. Volunteers like you enable us to succeed and allow us to give back to our communities and gives us all hope for the future. We maintain a database of those who are interested in participating in research along with details of the condition in order to efficiently match volunteers with the research studies that need participants. Registering in the database is the first step process that will take a moment of your time. First you must create an account with your email address. You will be sent an email to confirm your address. Then when there are research openings available you will be emailed and asked to log in to give alternate contact information and to answer the research questionnaire. Make sure that you are able to receive emails from contact@militaryveteranproject.org If you do not receive an email within 20 minutes, check your spam folder and filters or contact your email administrator. If you answer the questions and register yourself in the database, you may be contacted to participate in any of the studies we offer. Entering yourself in the database does not guarantee enrollment into any studies and you may not be contacted. Individuals from the Military Veteran Project and other regulatory agencies may inspect these records. In all other respects, however, the data will be held in confidence to the extent permitted by law. Should the data be published, your identity will not be disclosed. You can begin your registration in the database by creating an account below. This type of therapy requires patients to sit in a pressurized chamber and breathe in 100% pure oxygen for approximately one hour at a time depending on the ailment being treated. Its purpose is to promote the healing process. After consulting Dr. Henricks, he started treatment and noticed results after just 10 sessions. He experienced a dramatic decrease in his pain and was able to reduce his medication by half. “My PTSD symptoms really dramatically dropped. My headaches have been reduced. I had headaches every day." said Chris.